Washington state has proposed an ambitious goal to reduce its carbon emissions to 80 percent below 1990 levels by 2050. 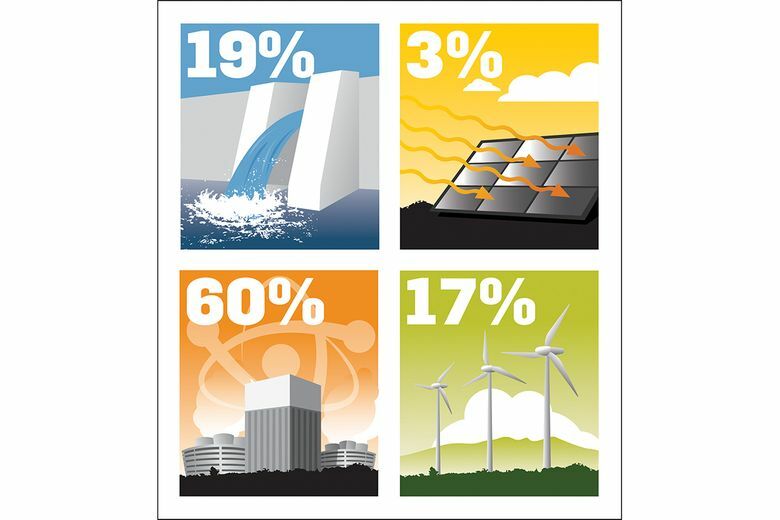 Because of abundant clean energy resources, such as hydro, nuclear and wind, the transportation sector is the largest source of carbon emissions in Washington. But electricity still accounts for about 20 million metric tons of CO2, or 20 percent of the statewide total. 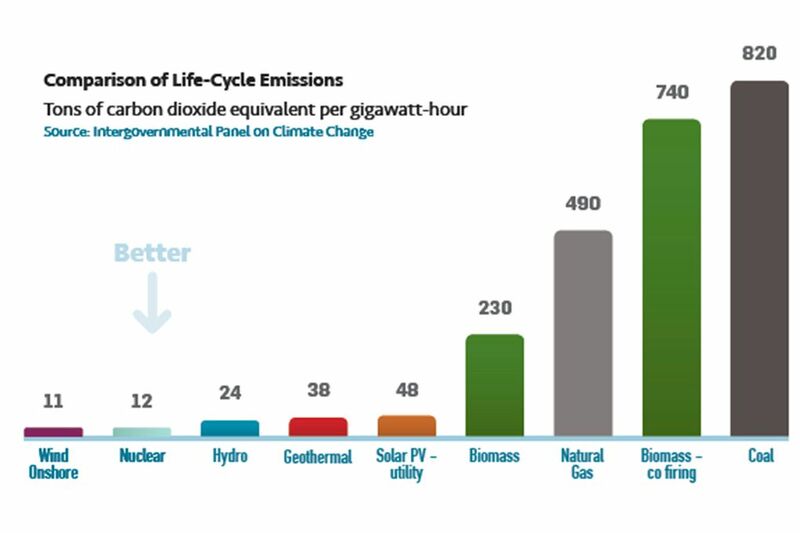 The reasons to reduce CO2 output are many – and important. Reduced snowpack, increased forest fires, higher river and ocean temperatures, agricultural impacts and sea-level rise all are identified by the state Department of Ecology as potential effects from rising temperatures caused by too much carbon dioxide. The question is how we meet carbon-reduction goals in balance with affordable energy and quality of life. For the electric utility sector, add keeping the lights on and the power flowing. A new study by San Francisco-based Energy and Environmental Economics (E3) looks at how climate goals can be reached in the Pacific Northwest, with an eye toward policies that keep costs down while still clearing the air of carbon. The study is sponsored by the utility members of the Public Generating Pool, Benton County Public Utility District and Energy Northwest. The study maintains its eye on the prize throughout – carbon reduction. It does so by looking at different scenarios that each use a range of tools, such as higher renewable portfolio standards or carbon pricing. One scenario excludes any new natural gas plants from being built in the region. “The study finds a technology-neutral policy has the best chance at achieving the reductions at the lowest cost,” said Arne Olson, E3 partner. Initiative-937, passed by Washington voters in 2006, helped to kick-start the wind energy industry in the state through a renewable portfolio standard, which requires large utilities to meet 15 percent of energy needs with qualifying new renewable resources such as wind and solar (existing hydro was excluded). Washington state is now home to thousands of megawatts of wind power, which are helping to reduce carbon emissions from fossil power plants across the region. But would simply bumping the RPS to 50 percent be the least-cost option for achieving future carbon goals? The study says no. “As we shift our focus to carbon emissions, those policies (a RPS) have some unintended consequences,” according to Olson. A big one is oversupply, which occurs when there is more renewable energy production than the grid can absorb. When that happens, renewable generators sometimes have to pay customers to take their electricity. This happened frequently in California last year due to solar generation coming online combined with very high hydropower production. Efforts to limit or remove fossil fuel generation from the Northwest energy mix have been largely successful: 73 percent of the Washington/Oregon electricity mix is already carbon-free. The E3 study highlights the plusses and minuses involved in future policy decisions that could result in cleaner air for less cost.